The title was inspired by... *drum roll* ...Anne Hathaway! 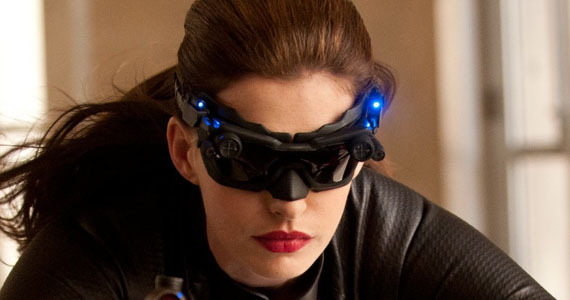 I must say, I do like her very much ^_^ My recent visit to see The Dark Knight Rises rekindled my love for this woman. So this'll lead to me revisiting The Princess Diaries movies sometime soon. They're fun! With my complimentary ticket for the luxury ship in hand, I stepped aboard. 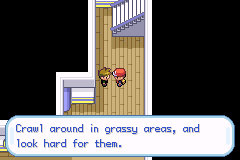 I took the south-east stairs to the floor below and started destroying trainer after trainer until that floor was wiped clear. Next I cleared the rooms you see once you enter the ship. I found a lady who would heal my Pokémon when I talked to her. It was so nice to have her there so I didn't have to return to the Pokémon Centre. I visited the kitchen next - the door for that is in the south-west of the ship. I just collected a few items there. No trainers to beat. Onwards and upwards I went. Up the stairs on the west of the ship above the kitchen. 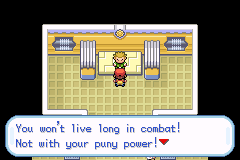 Once upstairs, I visited the front of the ship and beat 2 trainers. 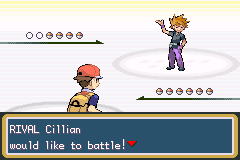 The last few trainers on the top floor succumbed to my superior Pokémon :D Then... Cillian appeared! 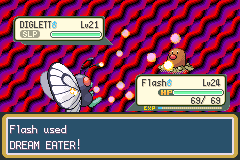 Enemy Diglett Stands No Chance! 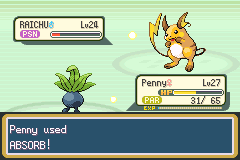 And finally, 6 level 27 Pokémon. Now seeing as Flash, Twister and Sonic are all flying type... I decided to stick with Cynder, Penny and Queens for the gym battle. That's all I've got for you for the time being ^_^ Be back soon with some more on my Nuzlocke challenge..